Day 2 and we’re still alive! Well, we’ve only died 3 times… that’s gotta be good, right? I was casually exploring the website of my new mouse – Razer Naga – when I noticed a really cool promotion where you just sign up to their comms programme for free and get a mount and a costume cape! Sorted. 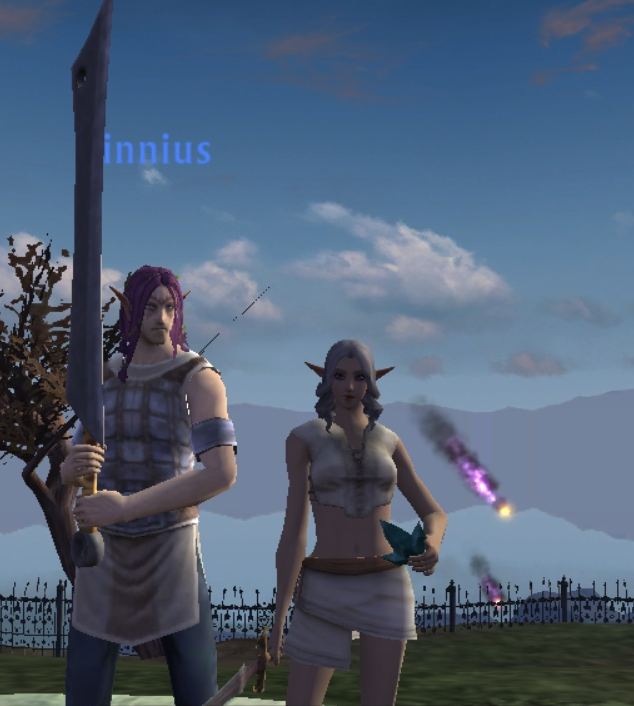 We both signed up and logged in for our free loots. 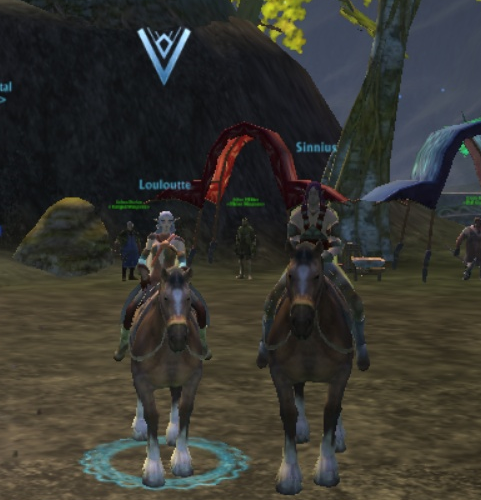 We’re really chuffed as a mount in-game you need to buy for 2 platinum 50g. Upto now (level 15) we’ve only earned about 1platinum 60g… so still a way to go. Needless-to-say, we are so happy not to be running everywhere! We finally figured out that we could use the ports and your soul link – like a hearthstone. It’s a bit silly to have a one hour cooldown on it (in my humble opinion), but it makes things a little easier. This is pretty linear and self-explanatory for the most part. We haven’t felt lost or out of our depth yet. We are currently working our way through the storyline and picking up and quests we stumble across in the world (which are plentiful). The mobs are an appropriate level, and the rift events give good xp. Still don’t really have a clue about this, other than going cloth-int-anything else stat wise. We finally got a head piece and some shoulders each so we feel a bit more durable now. That being said, we still spend a lot of time dead! We also bought a couple of bags each (10 slots instead of 4) so we don’t keep having to go and find a vendor. We’re picking up a lot of crafting materials, which we have banked, as we haven’t picked up professions yet. This is our main city and we made our way there today. It’s really beautiful actually. There seems to be everything the intrepid traveller/adventurer could need – we found vendors for all kinds and even joined in the “Fae Yule Celebrations”, which are the Christmas activities. We experimented with currency too – “unique snowflakes” we have been getting from world events buy mounts. We have 50, mounts cost 900… nearly there! 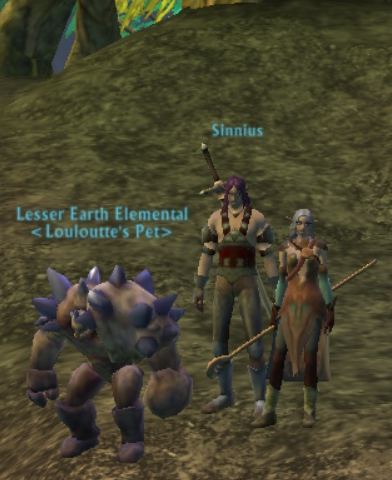 We did do a daily quest for the Yule event and we each got a couple of pets from it, which was brilliant. 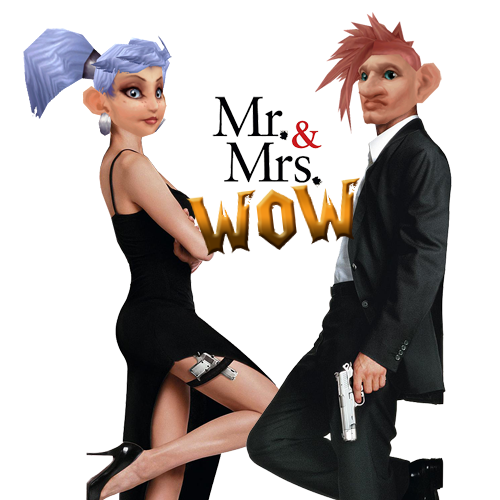 We joined in a guild which is run by @MissMurloc on twitter. Gives us a couple of perks, and @GPBatinna and @GPSicarios joined us there too – yay! The RIFT world events are definitely a highlight of this game. You rock up to one, kill some monsters and get lootz. It seems you’re able to join other people’s party/raid groups (you can set it to private though) to help easier. The bigger your contributions, the better the rewards. We really really enjoy this element of the game. It’s also really good xp! Another good element of RIFT is when something new enters your bag, it glows until you deal with it. This makes putting your new gear on really easy – you can see it and interact with it much quicker. The scenery, despite my “low render quality” is really nice. Gear stats, still no clue. This week I decided that even though I was enjoying my new DK alt in WoW, that I’d like to try a new game out. One that was suggested several times was a game called RIFT. Several people have described it to me as “fake WoW”, so I figured that at least I have a good chance! I didn’t want to miss out the fun, so I downloaded it too. …and first impressions were pretty good. It seemed like the type of thing I’m into (lots of fantasy, MMO, questing etc) and the graphics, for a F2P seemed really nice. So, we decided to give it a go. I get onto the character screen to create my first toon on a medium pop PvE server (I don’t like WoW PvP, I don’t see how this would be any different! ), and I’m faced with a decision straight away: which faction to choose. I am unashamed to say that I chose Guardian purely based on the fact the other one looked like the Horde symbol. I just did as I was told! Then… Elf, Dwarf or Human. Well, as cool as Dwarves are, the Elf looked really beautiful so I chose a female. And I a male. I wanted the same race/server as we don’t know if different races start together, so this is why we chose Gelidra and the High Elves. We haven’t read a single thing about the lore or the background to this game, so I pick a class that I am most familiar with – a Mage (there was Warrior, Cleric or Rogue as well). I chose a Warrior Destroyer… because it looks cool. However, you must then further specialise… you can be a healer, tank or damage Mage, depending on what you wish to do. I didn’t want to heal, as the tool tip says that it “takes longer to solo mobs”. I thought this would be silly seeing as I doubt I’ll be grouping with lots of people just yet – I wanted a class that could hold its own as I learn the game. In the end, I chose the Pyromentalist, it seemed the most logical at least! This was a really fun experience. In WoW, you get hair style and colour, face shape, accessories (ear/nose rings/tattoos) and skin colour. In RIFT, you also get make-up tones, mouth and nose size/shape, highlights, eye colour… many more options to explore! It also gave you a preview of gear at different levels which was pretty cool. Here they are, as new level one’s in the starting area. Level 1 and 2 were pretty easy… moving is the same as WoW (W,A,D) and you right click to interact with quest givers. The storyline is pretty linear too – one quest leads to another etc. I found it really quite simple to level those first couple of levels. It’s a bit weird using 1 and 2 for main abilities (when I’ve always used Q, E etc) but as we’re grouping together, the mobs die quickly anyway. I also realised at around level 5 that I have an Elemental pet – similar to a Warlock voidwalker. Pretty handy! Levels 3,4,5 were more complex purely as the mobs became hostile and started attacking you. The world was also pretty cool to explore, even if the quest givers tend to change places from where you picked the quest up from – rather confusing. I was a bit overawed by the amount of abilities you get as a level one – a lot to get your head around. Each class seemed to have abilities from the other. Like in WoW a fire mage using arcane missiles, it seems a bit bizarre. The ‘soul tree’ (talents) seems complex too, we just opted for the automatic fill-in feature for now. I also changed our key bindings, she was getting confused using 1 and 2 for abilities usually on Q and E…. We only got to level 10 in our first sitting, although I think that was a valiant attempt. We stopped here as I wanted to try a different class. We tried duelling a few times and I could barely touch her before I died, I couldn’t be having that! It started to get a bit complicated with things that needed research – what do the Porticulis do? Why are people in my party if I didn’t invite/accept them? Why is there a quest which is completing without me doing anything? So far, we haven’t explored much out than the starting town and its relevant quests. However, I did get chance at the end to stumble through a large part of the map into new questing hubs further into the zone, in what looks like a college. I’m sure we’re not doing them in a logical order, but we’re gaining xp… We also got our first taste of the ‘dimensions’ – player housing we think. Not entirely sure what it’s for, but I put a bush down and it looked like home! Do you play RIFT? Any advice for us noobs?